Apple has been long rumored to be working on an electric car and has hired several high-profile tech and auto industry veterans. Now, shortly after former executive Bob Mansfield was brought back to Apple to run the secretive project, reports are emerging that the company is shifting its focus from a full-fledged electric vehicle to self-driving software. According to Bloomberg, Apple is not abandoning its effort to build a full Apple Car, but the shift in strategy leaves the door open should the company eventually decide to partner with or acquire an established car maker. The report claims Apple has been targeting a release as soon as 2020, but is facing delays over multiple departures and confusion regarding the direction of the project. Partnering with a car maker would likely speed things up. Bob Mansfield reportedly has three teams under his division, each led by Apple veterans: a software team under John Wright; a sensors group headed by Benjamin Lyon; and a unit of hardware engineers led by D.J. Novotney. 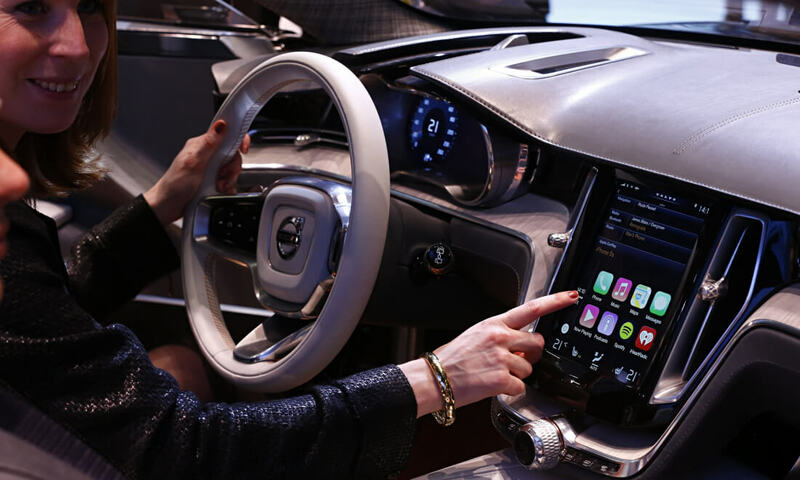 Dan Dodge, who ran BlackBerry's automotive software division and developed QNX, the software platform found in a wide range of in-car infotainment systems, is the company’s latest hire to join the software team. Car makers and several tech firms are racing to develop autonomous driving technologies, which are widely expected to shape the future of private and public transportation. The latest tie-up includes BMW, Intel and machine-vision technology company Mobileye, which aim to deliver a new flagship car equipped with autonomous driving capabilities in 2021.